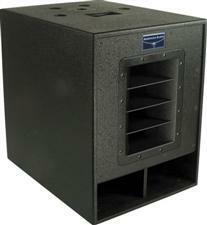 American Audio PXW 15P 15" Powered Subwoofer- FREE SHIPPING! Some situations call for a little extra umph from the lower side of the scale. That's when a PXW 15P subwoofer is a perfect call. This 15" powered subwoofer by American Audio gives you a solid lift in the bass area with balanced XLR I/O jacks as well as a high pass XLR ouput. The back panel features LED indicators for limit, signal, protect, and power. The protect indicator will glow when the subwoofer is getting too hot. woofer, and set balance between the speakers and subwoofers.